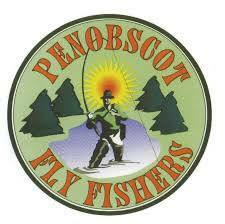 Welcome to Penobscot Fly Fishers! The 2019 Fishing activities calendar is posted. 24-25 April (weds/thurs) - fish marking (fin clipping) with IF&W at Grand Lake Stream. Meet at the Parking lot at the Hatchery at 0830! 27 April - Fly Fishing 101 - 07:30 sign in, 08:30 start, ends at 04:30 p.m. Email sent to club and participants. 28 April - our first club fishing outing - trolling at Toddy Pond. Email sent to membership with details. Assist IFW with annual fish stocking - stand by for dates! ​1 May Monthly meeting- Come listen/watch famous fly fisher, guide, and fly tier Jim Dionne talk about (and demonstrate) the basics of SPEY casting. Sorry we are all full. You can send in a request to be on our waiting list. 5 June - last club meeting until September - come join us for a BBQ! We will not have a scheduled speaker - it's time to make fishing plans with your new friends, or old friends! 8 June - PCCA Youth Day at the PCCA. Requires fly tying and fly casting volunteers, 9-5. 16 June - Join us for our annual Father's Day Derby - Prizes for the top 3 finishers - will be held on the Penobscot river, south Lincoln Landing. Stay tuned for more details! 23 June - club outing - West Branch of the Penobscot River. Many of us get campsites at Big Eddy or Abol Campground. 4 Sept - come listen to Dwayne Shaw from the Downeast Salmon Federation.